On a stormy afternoon in Rio, one of my last days in the country, I was lucky to be invited to an NGO called Fight For Peace. I learnt more about the social enterprise clothing brand that has sprung up from inside it. In one of favelas that has not yet been pacified by government and military operations, I met founder and CEO, Luke Dowdney. The following is a preview of article that I was asked to write about my social enterprise experience in Brazil for the Guardian. One famous project that has been working in the favelas since 2000, before the pacification process began, is Fight For Peace. Founder Luke Dowdney MBE has been giving young people in the Maré favela something to strive for, for more than a decade. His boxing and martial arts academy has grown from helping 10 disadvantaged young people, to now training and educating more than 2500 every year. Although it started that way, it’s no longer just a boxing academy. It also gives the young people of the favela a high school education, and a sense of belonging and meaning. The brand has become so strong in the favela, that people steal Fight For Peace t-shirts from washing lines, because they want to be associated with it. Recognising the power of the brand, Luke and his team set up a social enterprise sports clothing social enterprise, called Luta. 50% of all profits from Luta go directly back to helping Fight for Peace and the communities they work with. While Fight For Peace is a tradition NGO, Luta is a social enterprise. 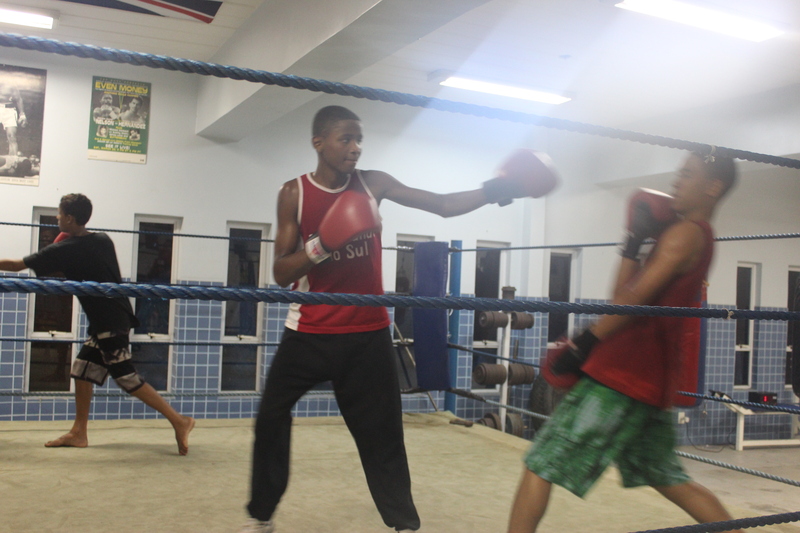 This entry was posted in Brazil, Inspiring, South East Region and tagged Boxing, brazil, Education, favela, Luta, Maré, Nike, Non-governmental organization, social enterprise. Bookmark the permalink.